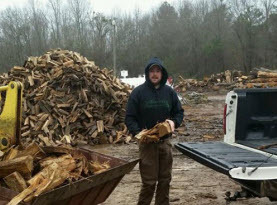 Milam’s Tree Service is fully licensed and insured to supply commercial businesses and residential homes in McDonough, Georgia and surrounding areas with tree services and has been doing so for over 20 years. Our experts have advanced training, years of valuable experience, and extraordinary skills that reflect their expertise. With the use of high-end products, tools, supplies, and equipment available only to licensed professionals, we are able to deliver to premium results to our valuable customers. You can expect from Milam’s Tree Service, like so many of our customers already do, high moral standards, exceptional work ethics, friendly customer service, and superior execution on consistence bases to separate us from the competition. Milam’s Tree Service provides storm damage cleanup to the commercial and residential properties locally and in surrounding areas. After an extreme storm your trees can be left severely damaged; limbs, branches, and even the trunk can be brutally abused by wind and lightening, leaving your tree or trees in shambles. 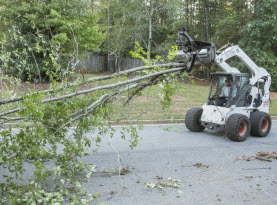 Milam’s Tree Service offers emergency tree trimming of broken branches, removal of hazardous trees and hauling of tree debris. Additionally, during an intense storm, branches and limbs can find themselves hanging precariously in dangerous situations. 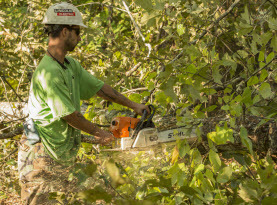 Whether the branches and limbs are hanging above your McDonough home or business, vehicle, parking lots, popular walk ways or other hazardous sites, you want a trusted professional from Milam’s Tree Service to trim and remove the broken tree limbs before they contribute to any property damage or personal injury. Milam’s Tree Service storm damage cleanup service is available for anyone who has the need. Milam’s Tree Service offers emergency response service that applies to weather damage cleanup service. Commercial and residential properties in Greater McDonough, Georgia can have their trees suffer tremendously following a severe weather storm. Limbs and branches are not the only things that can suffer but the trunk as well. If any of the trees anatomy is in hazardous conditions that is at risk of causing bodily harm or property damage to your home or business, Milam’s Tree Service emergence storm damage clean up service can quickly respond to your call and remove the threatening trees as soon as possible to ensure your property and people are well protected. 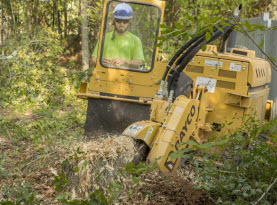 Having scraps of scattered tree parts all over your Georgia landscape can be not only unappealing but a safety hazard as well. With Milam’s Tree Service, we can retrieve and haul away all the limbs and branches that have found their way sprinkled around your property. After a Georgia storm, the trees in your yard or lot can be left in disarray. With Milam’s Tree Service storm damage cleanup service and emergency response storm damage service are all you need after a storm has wreaked havoc on your trees. Our experts steady, methodical strategy can get your trees healthy and appealing again on your commercial and residential property. Their training and expertise will ensure your existing trees are left magnificent and the mess cleaned up and properly disposed. Your trees will be healthy and strong. If your trees are in need of some tender love and care after a storm, contact Milam’s Tree Service today to get started!